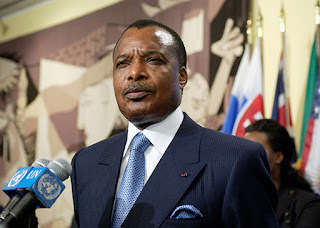 President Denis Sassou Nguesso of Congo has described President Muhammadu Buhari’s victory in the presidential election as a “brilliant performance”. President Nguesso was represented by Jean Claude Gakosso, the Congolese Minister of Foreign Affairs. Buhari, in his speech, told the Congolese minister that without social, political and economic stability, it will be difficult for any country to effectively manage its resources. Gakosso and Congolese in Diaspora conveyed a congratulatory message on behalf of President Nguesso to Buhari at the President Villa on Thursday. According to Femi Adesina, the Special Adviser to the President on Media and Publicity, Buhari stressed the need for peace and stability so that the resources of a country can be used for the good of the people. 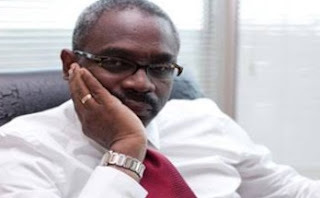 “Stability is critical, if a country would manage its resources effectively. I am aware of the problems of our own country. We are very large, deficient in infrastructure, and trying to improve on political and economic stability. In my last lap in office, I will give it my best,” Buhari said. He noted that developing countries that had oil used to be very powerful in the Organization of Petroleum Exporting Countries (OPEC), due to their production capacities, but as a result of technology, the United States no longer depends on them for her oil and energy needs. The Special Envoy, on behalf of his President, wished Buhari wisdom and good health, so that he can continue to lead Nigerians efficiently and effectively.